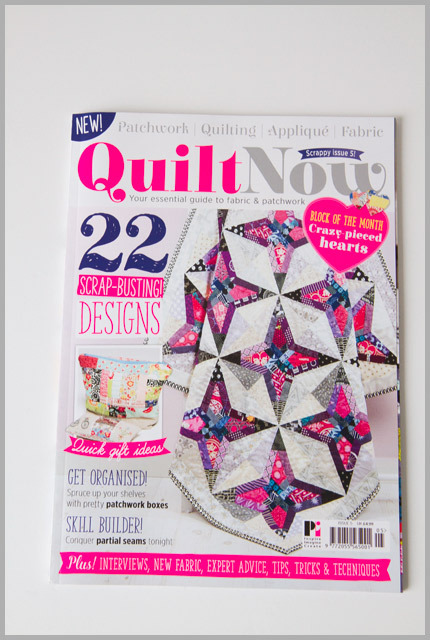 Issue 5 of Quilt Now is out now around the world, and this issue is all about scraps – we all know you have some of them lurking around, now’s the time to dig them out and use them on a great range of projects. The outside is QAYG, with a plain lining, and I finally shared the technique I worked out earlier this year to have the lovely QAYG outer without all the seam bulk. Congratulations on being in print. It looks like a great step by step layout. 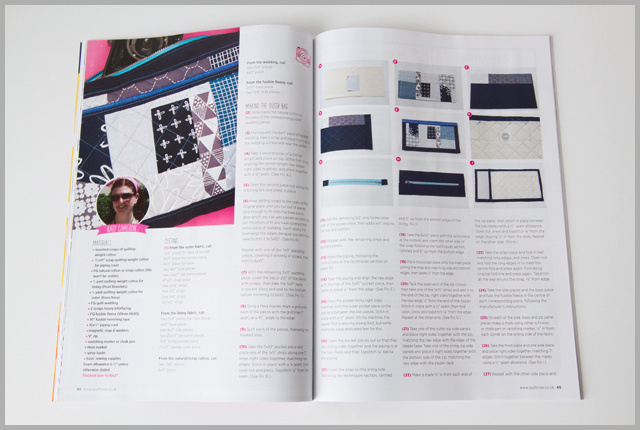 I agree with Shay, If only quilt magazines were distributed internationally. Will have to look out for this next time I am in town, I have lots of scraps ! 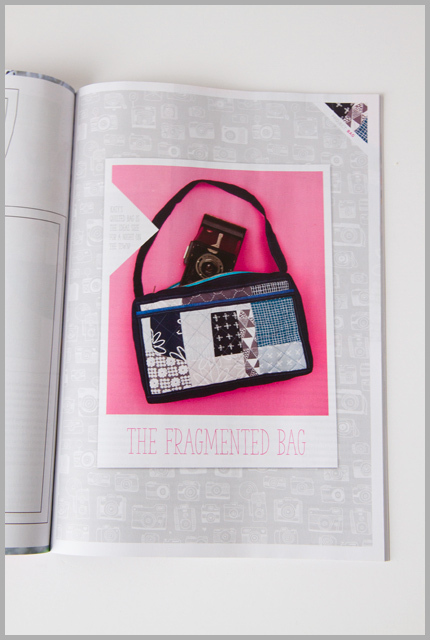 Congratulations in being in the mag. It looks good. Just don't over tax your self. Your project is *super* cute. I like how you grounded the patchwork with a darker color (is it black? navy?) on the perimeter. Gosh, I got to try to get my hands on a copy! Looks like a great project! Congratulations on another publication!! !